Having the right tools is important, which is why we provide a common device to support your learning and life at Ohio State. Check out FAQs, tutorials and other resources to help you make the most of your technology kit. 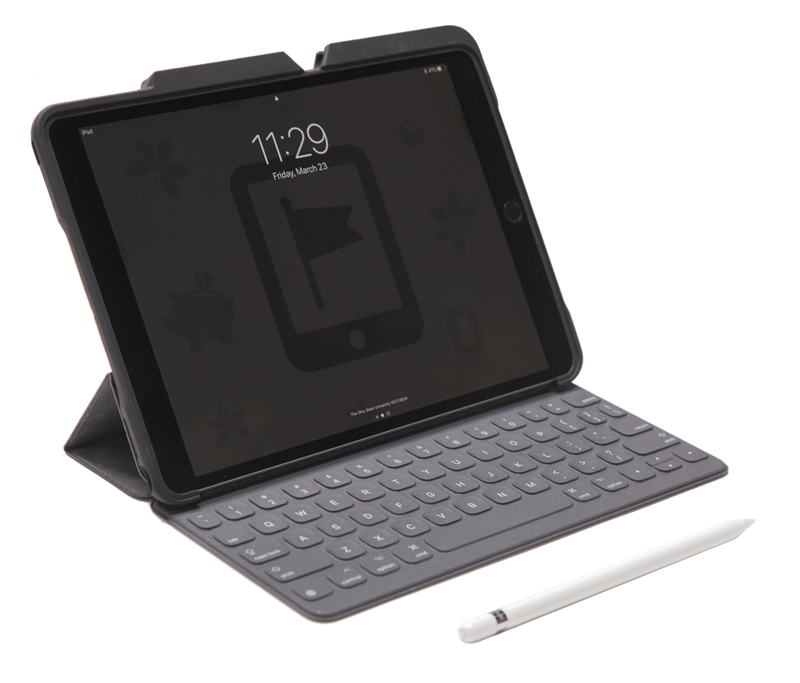 You will be provided a high-quality case to provide protection for your device and hold your Apple Pencil. STM Dux Shell pictured. The keyboard is easy to attach and allows you to type with your iPad as you would a laptop. All devices covered by a 1 year manufacturer warranty. Additionally, you will receive three years of AppleCare+ which also covers in the case of accidental damage. The Apple Pencil and Smart Keyboard are not covered by AppleCare+. If you do experience a major damage and need to utilize AppleCare+, you will be responsible for paying the $49 damage replacement fee associated with AppleCare+. Your iPad is owned by the university during your undergraduate program, but that doesn't mean that you can't personalize it and use it for both school and life. You're encouraged to download your favorite apps, sync up to your other devices, and host that dorm-room movie marathon. Your iPad will provide you access to a suite of free and paid apps to support you during your time at Ohio State. In addition to these, we encourage you to download your own apps from the Apple Store as you would on any device. Keep up with your classes, create a work of art and write a term paper — all from the Ohio State apps available on your device. Learn how to edit papers, turn in assignments and take fantastic notes with Explain Everything and Notability; two powerful paid apps provided by Ohio State. Includes policy information about apps provided by the university and apps you download yourself.